We are a locally owned and family operated business that specializes in repairing small engines with the customers needs as the primary focus. Our very competent and knowledgeable staff has a combined experience of 34 years in the small engine industry. 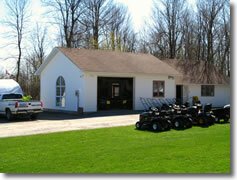 Our goal at Coleman’s Small Engines is to provide quality products and service at an affordable price. We stand behind the products we sell and the service is provided by our factory-trained technicians. We service every brand we sell and others as well. Check with us for all your repair or replacement needs.